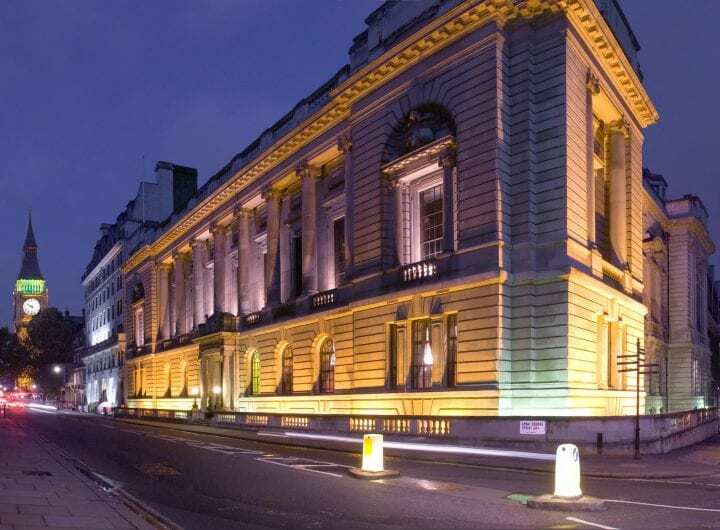 One Great George Street is an award-winning conference, event and wedding venue just off Parliament Square, close to many of London’s major landmarks and attractions. 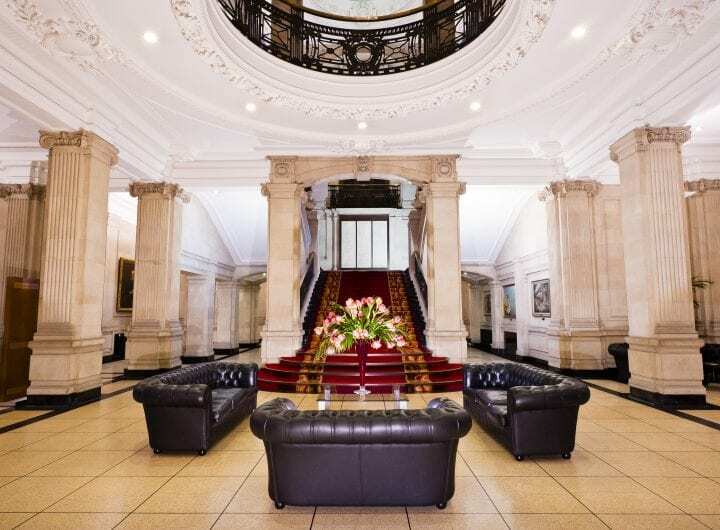 Offering first class facilities and service standards, this magnificent four-domed Edwardian building is perfect for any event, whether it is a small meeting for 10, a large conference for over 100 or an elegant gala dinner. There are 19 rooms to choose from, each varying in style and amenities. Many interconnect so you can combine your business meeting with social entertaining. Enjoy your very own personal event coordinator who will help organise and advise on every aspect of your function. 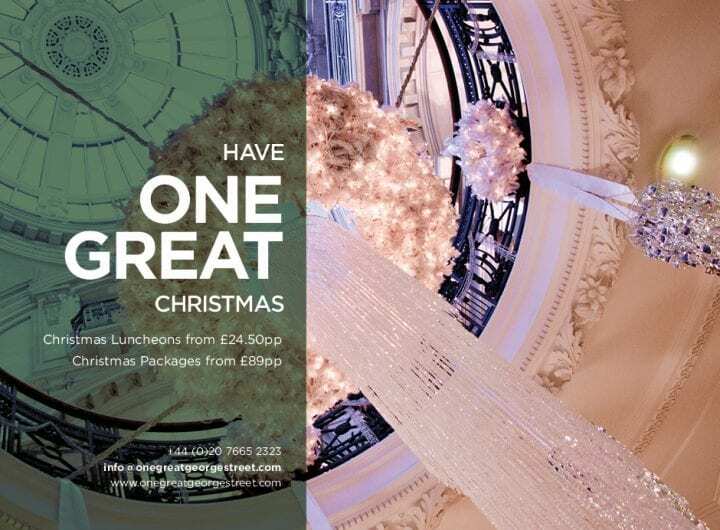 Brasserie One is One Great George Street’s fine dining restaurant, where guests are invited to enjoy creative, modern European lunch dishes in a contemporary setting, perfect for business lunches. 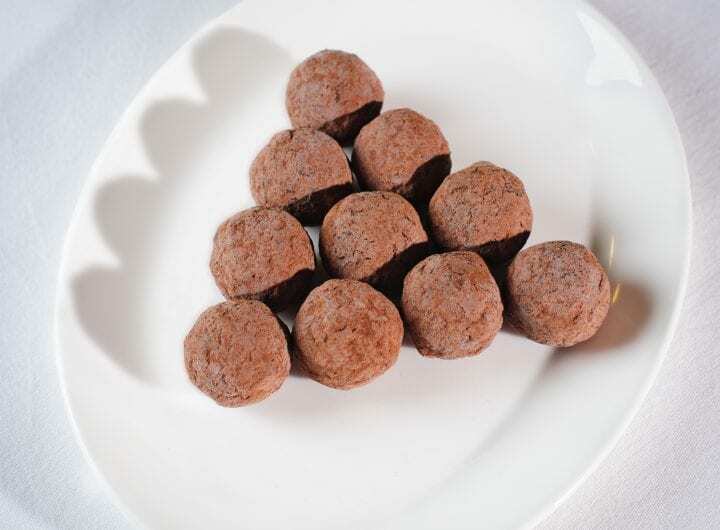 The restaurant and Café Bar areas can also be hired for evening parties or private functions.